Community – Properties by Landmark Inc. Explore our beautiful North Olympic Peninsula. 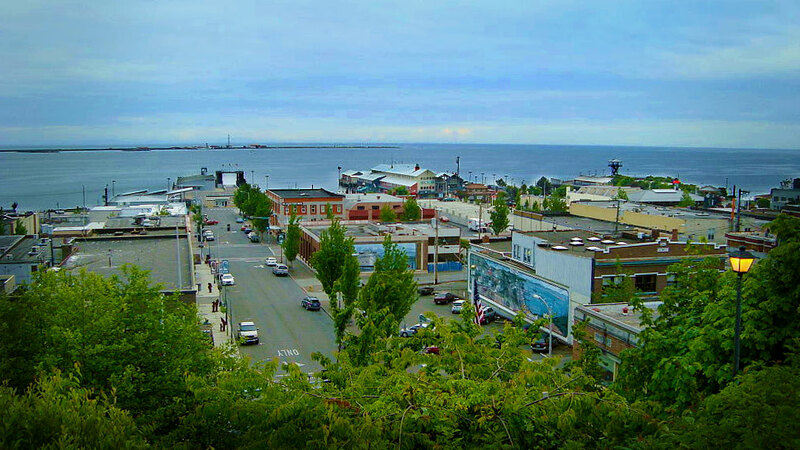 The city of Port Angeles lives up to its motto, “The Center Of It All”. Situated between the Olympic Mountains and the sandy beaches of the Strait of Juan de Fuca, we truly live in an earthly paradise. Port Angeles is growing economically and socially, as more families discover Port Angeles and make it their home. Businesses are also finding this place a great place to build and grow. Low food costs, low crime and high community involvement. The picturesque snow capped mountains of the Olympic National Park as a backdrop don’t hurt! Locals nosh on Dungeness crab (especially during Crabfest), and hang out in the downtown filled with cafes, galleries, gift shops and bookstores. Whether you are looking for a place for adventure, outdoor recreation, or employment opportunities, we’re sure that Port Angeles is the place for you and your family! Sequim is pronounced as one syllable, with the ‘e’ elided: “skwim”. The name is derived from the Klallam language; broken down into multiple sounds, it means “reason, thing or place for”, “shoot” and “go to” which translates to “place for going to shoot” referring to the numerous elk and fowl resources in the area. Located along the Dungeness River near the base of the Olympic Mountains, Sequim lies within the rain shadow of the Olympic Mountains and is one of the driest locales in Western Washington …. receiv[ing] on average less than 18 inches of rain per year – about par with Flagstaff, Ariz. Yet it is fairly close to some of the wettest temperate rain forests of the contiguous United States. This climate anomaly is referred to the ‘blue hole’ of Sequim. Fogs and cool breezes from the Juan de Fuca Strait make Sequim’s environment more humid than would be expected from the low average annual precipitation. Luxuriant forests are dominated by Douglas-fir and Western red cedar. Black cottonwood, red alder, big-leaf maple, Pacific Madrona, Lodge pole pine and Garry oak can also be large. Historically, much of the area was an open oak-studded prairie supported by somewhat excessively drained gravelly sandy loam soil, though agriculture and development of the Dungeness valley have changed this ecosystem. 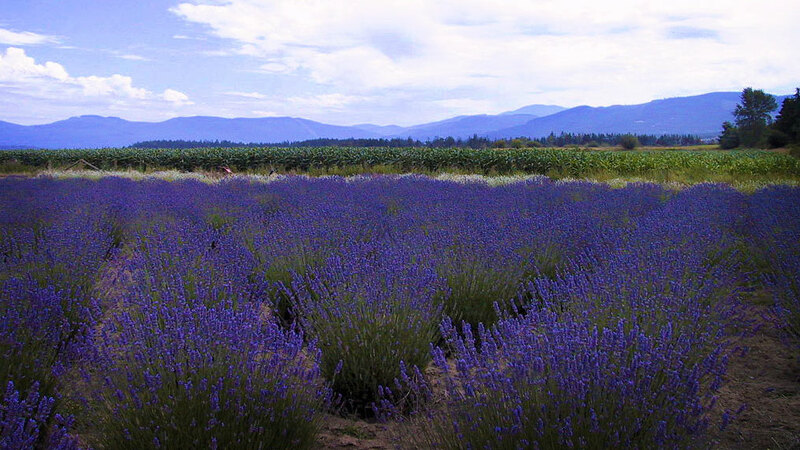 … The city and the surrounding area are particularly known for the commercial growth of lavender, supported by the unique climate, which makes Sequim the “Lavender Capital of North America”, rivaled only in France. The area is also known for its Dungeness crab.